– Many readers will be deeply saddened to know that Ileana Welte died of a heart attack last Wednesday whilst travelling on the Tube in London. Many will know her from her long time working in Bosch in the UK, where she was particularly associated with the NHS Direct telehealth service, and more recently her management of the UK side of Big White Wall where she was doing a brilliant job driving the uptake of digital health in the NHS to help treat people with mental health problems. She will be very sorely missed; her untimely death has come as a huge shock to many. We will shortly be publishing a larger article with contributions from Bosch, Big White Wall and from ex NHS Direct colleagues – other contributions will be gratefully received. We will also publish news of her funeral/memorial services when received. Many thanks to Sharon Le Corre for pointing us to the Bosch Healthcare announcement that from the start of the New Year their telecare business is now owned by Quantum, under the name Telealarm. [grow_thumb image=”http://telecareaware.com/wp-content/uploads/2014/01/Health-Buddy-Web-Image.jpg” thumb_width=”200″ /]Bosch Healthcare’s partnership with Remedy Health Media for a web-based version of Health Buddy for telehealth premiered today at International CES. It will be available on desktop, smartphone and tablet. The format seems to combine both the monitoring aspect of the hub-based Health Buddy with extras such as an integrated reminder system, patient engagement and behavior modification tools such as brain games to improve memory and cognition, and patient educational content. The countries it will be available in were not disclosed. While Bosch has vigorously maintained that the Health Buddy hub will continue to be supported [TTA 24 Sept], Editors Charles and Donna have maintained that it will be relegated sooner, rather than later, to a secondary product line. Release. 1. Bosch Healthcare is not exiting the UK market. 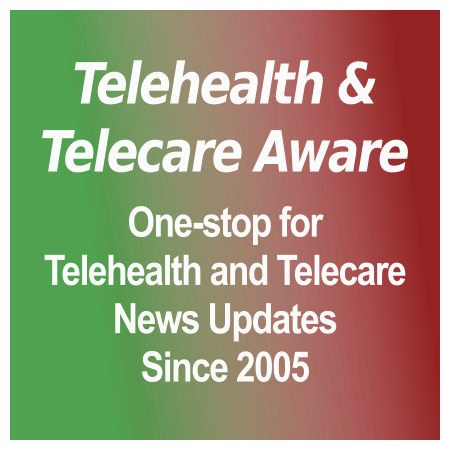 Telecare is business as usual and we will continue to sell our entire line of telecare products in the foreseeable future. We have placed all new telehealth activities on hold for now as we spend the next few months re-evaluating the business strategy based on current market dynamics in the UK. 2. We are not exiting the Health Buddy device business. We will continue to offer Health Buddys to patients who need them. The Remedy partnership press release announced an expansion of our patient interface portfolio to more mobile and internet-based solutions, not a replacement of existing Health Buddy devices. Bosch to can Health Buddy, withdraw from telehealth in UK – temporarily? On September 6th, Bosch announced a tie up with Remedy Health Media [TTA 10 Sep] “to launch remote patient monitoring products designed for tablets and smartphones”, which suggested that it would not be long before they stopped selling their purpose-built telehealth hardware. [grow_thumb image=”http://telecareaware.com/wp-content/uploads/2013/09/TROLLS-1992-008.jpg” thumb_width=”150″ /]In February and for a few months, this Editor was on a tear about the quaintly dubbed patent trolls–primarily (but not always) non-practicing entities (NPEs) which don’t create or market products, but buy up other people’s/companies’ patents and then seek out opportunities to license them. These NPEs target and challenge vulnerable startups and early-stage companies to defend their patents and systems; the suit for royalties, the financial threat, the papers filed, the attorneys called, the money spent and the eventual settlement (or licensing) is in reality just a form of what’s called in Latin America la mordida. It becomes cheaper to settle than to fight–and the cost can be six or seven figures. The shots over the bow were in 2012: Bosch’s February lawsuits against Waldo Health, ExpressMD/Authentidate and MedApps (now Alere Connect) [TTA 16 Feb 2012] and then the strange practice of PHR developer/patent accumulator MMRGlobal [TTA 23 Oct 2012] in sending hundreds, perhaps thousands, of letters out to EHR/EMR users to advise them of possible patent violations and demanding licensing. This Editor observed then and during the spring this year that it was only a matter of time that NPEs would pounce on healthcare tech as investment action accelerated. Yet discussions by this Editor with companies in some public venues indicated a certain level of obliviousness to the threat–that there were not enough assets to go after, thus healthcare startups made poor targets–though side conversations with IP specialist attorneys indicated otherwise. [grow_thumb image=”http://telecareaware.com/wp-content/uploads/2013/09/Doro-Liberto-810.jpg” thumb_width=”100″ /]Doro’s unveiling of their second smartphone, the Doro Liberto 810, along with its ‘privileged access’ to two Withings devices–the Smart Body Analyzer (weight, body fat, heart rate) and Pulse Smart Activity Tracker–continues their moves into older adult-appealing mobile telecare/telehealth offerings, as tracked by founding Editor Steve since at least 2009. Doro’s assertive move into Quantified Selfing as part of what they call ‘the world’s most liberating smartphone’, is more fully featured and was predicted by David Doherty earlier this year [TTA 25 Feb]. It is also not Doro’s first big alliance; late last year, Bosch Healthcare announced that Doro would be the mobile platform for telecare offerings in Germany and Sweden [TTA 16 Nov 2012]. Both the release and Mobihealthnews indicate that this offering will roll out to select European markets initially, but the latter states that a similar offering will debut in the US by early 2014. (For US readers, Doro is equivalent to GreatCall’s Jitterbug line) According to Mobile, the Liberto will be available in the UK in October. Engaging patients (sideways?) is a new partnership announced by Bosch Healthcare and New York-based Remedy Health Media to add web-based solutions to its current health management programs delivered through their Health Buddy and T400 devices. The release and coverage (Mass Device, mHealth News) implies that monitoring will part of the patient engagement with “a suite of innovative web-based products for remote patient monitoring” available later this year. Does it mean that the hubs are on their way to the scrapheap? Hat tip to reader Bob Pyke. Conflicting telehealth signals – is the VA or E Riding of Yorkshire CCG on the money? Can there be two greater contrasts than the recent decisions by the Dept of Veteran Affairs in the US (VA) to award a five year $28.8m telehealth contract to AMC Health and that of the E Riding of Yorkshire CCG to “axe” its telehealth service? Well someone thinks telehealth is good news! Medtronic has just announced a $200m takeover of Cardiocom, the telehealth device maker. If you can get through the paywall, the WSJ article is here (updated link not paywalled–Ed. Donna). 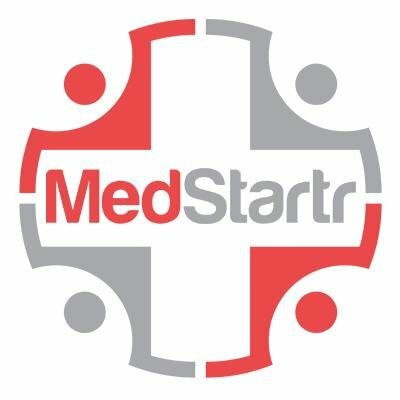 FierceMedical quotes Medtronic as saying that “At-home monitoring is a proven method of reducing the rates of hospital readmission…and that translates to savings for payers, providers and governments.” First area of joint working is expected to be heart failure. Recent US regulations on Medicare, and increasingly insurance payers, penalize hospitals for 30-day same-cause repeat admissions. Medtronic press release. It also should be noted that Medtronic’s CEO, Omar Ishrak, is well acquainted with home health. Mr. Ishrak was formerly the CEO and president of GE Healthcare through mid-2011–and the driver behind making what was an ultimately failed bet in getting GEHC into home health. That was in 2008-9 with a tiny company called Living Independently Group, developer of a telecare system called QuietCare, which ultimately went to the Care Innovations JV with Intel. (Disclosure: I was head of marketing at the time of the acquisition.) Like GEHC, Medtronic is acquiring a closely-held company in a very different line of business with drivers quite unlike its own; they are retaining the former CEO as a general manager of the division but whether other management or the brand name will survive is not disclosed. Doro has revealed its latest handset – the Doro Secure 681.” According to an item in Mobile Magazine, the phone will launch in the second quarter of this year and is “aimed at people who currently rely on the support of a fixed-line telecare services, allowing them greater mobility outside the home.” The 681 is said to be the first mobile phone to feature an embedded ‘class one’ telecare radio receiver that is compatible with Doro’s wearable wrist, neck and fall sensors. Alerts can be sent to monitoring services via the internet or SMS. To this editor, if the photo in the above item is to be believed, the clamshell design and screen/keyboard layout is going to be too complicated for many people in the target market. It also looks like big-boy Doro has been learning a few lessons about the need to check and report battery charge levels automatically from UK small-guy Carephone. However Doro will have the advantage of being part of Bosch’s offering to the public. It will be interesting to see which gets traction with the public first, the Doro/Bosch combination or O2’s Health at Hand.